A former England schoolboy international, Daniel began his career with Cambridge United’s youth system. He made his first team debut for the U’s in January 2000, and went on to make 106 appearances, scoring 14 goals. During his time with the club, he went on loan spells with Cambridge City (March 2001), Darlington (November 2001) and Leyton Orient (December 2004). He was released in May 2005 following United’s relegation into the Conference, and was brought to Nene Park by Barry Hunter on 20 June 2005 on a two year contract. He made his Diamonds debut in the 1-1 draw against Darlington in the first game of the 2005 / 2006 season but after a further five appearances, he fell out of favour. He joined Notts County on loan in February 2006, and was expected to join the Magpies after Diamonds relegation from the Football League, but with the arrival of new manager Paul Hart, he was given another opportunity to impress. After scoring twice in the first four games, things were looking up for the striker but he received a couple of injuries and the goals dried up. Despite this, Daniel made 12 further appearances as well as coming off the bench on a further eight occasions. 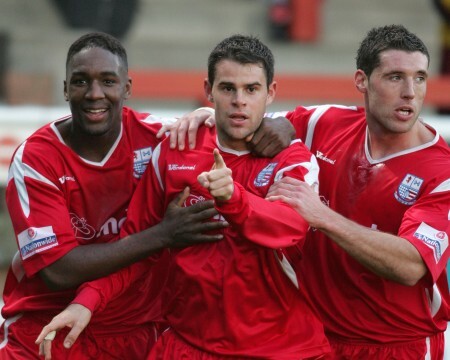 His last appearance for the Diamonds came in the 1-0 defeat at Gravesend & Northfleet on 30 December 2006. He was released by mutual consent on 31 January 2007, and rejoined Cambridge United, but a series if injuries including a career threatening ankle injury meant his appearances were limited. He was released in the summer of 2008, and joined St.Albans City but the injury problems continued and he had little time on the field. 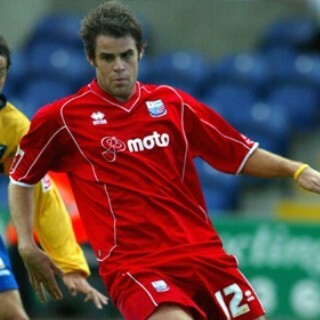 After over a season out and following a long period of rehabilition, he joined UCL side St.Neots Town on 16 July 2010. Dan spent a year out of football during 2011 in order to conventrate on a business venture, and his young family, but joined Eastern Counties Premier side Godmanchester Rovers on 11 July 2012. He continued on a part-time basis before retiring from the game to concentrate on his business.